I am the owner of The Art Station Studio in Niles, a member of The Niles Chamber of Commerce, and the mother of four. I have always loved to express myself through my art. I believe everyone has an inner artist. You just have to find your own niche. I love creating my own art as well as helping others to explore their own creative side. 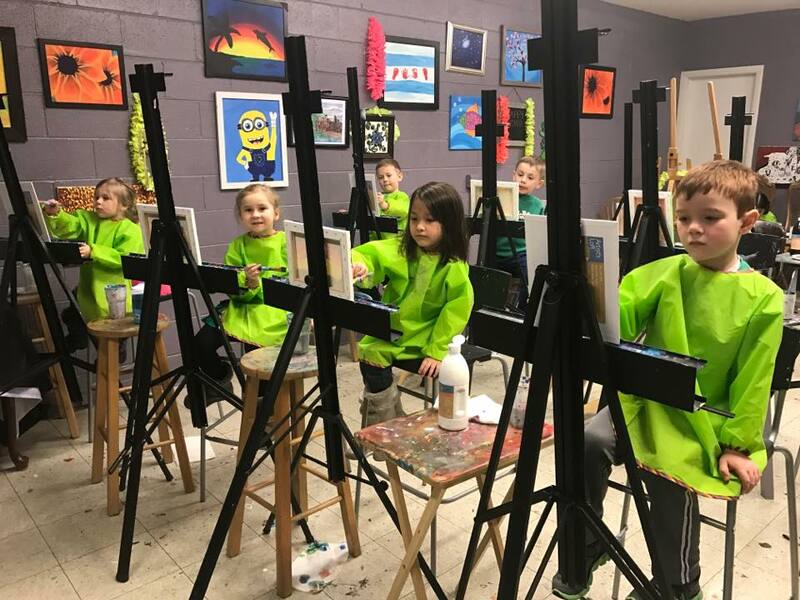 So much better than their bigger counterpart "Paint Nite" they have a small class sizes! And for those who may be slightly artistically challenged like me, the instructor will help you fix your painting to your liking!! You actually end up with a painting you are proud of!